Raising their 2-year-old, Xiyan, swallows at least a third of the family’s annual income. Comparatively, in the US it costs a similarly positioned family a fifth of their income to raise a child. Chen’s financial struggle mirrors the difficulties facing millions of other middle-class families across China, and is a major reason why the ruling Communist Party is struggling to boost the country’s birth rate. The result was not what Beijing expected. China’s population growth slowed in 2018 with 15.23 million live births, a decline of 2 million from the year before, according to the National Bureau of Statistics. More than 50% of families have no intention of having a second child, according to a 2017 study — and cost is one of the main reasons. “I will never consider having a second child. It is too expensive,” said Chen. That’s a major headache for the ruling party, which prioritizes economic growth but is struggling with a shrinking workforce and aging population. More than 240 million Chinese were over 60 years old in 2017, official figures reveal — more than 17% of the population. The figure is forecast to rise to a third of the population by 2050 — or 480 million people. 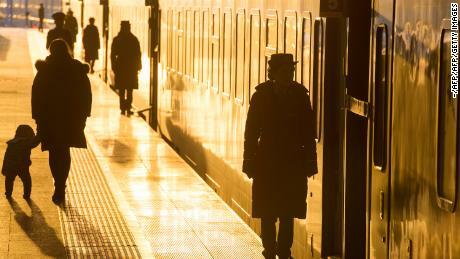 By 2030, it is believed the country’s population will be shrinking, fueling fears that China will get old before it gets rich. 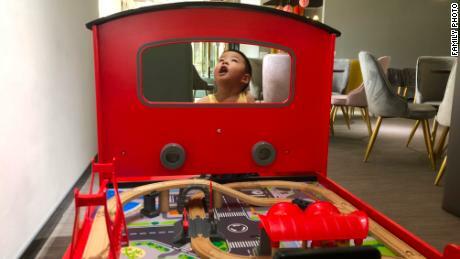 Parents and experts say the cost of raising a child in China has risen sharply as living standards in the country have improved and public trust in domestic products has weakened. Chen, for example, has never bought a Chinese brand of baby formula for her son, opting for expensive imported foreign brands. In 2008, tainted Chinese baby milk killed at least six babies, and caused kidney stones and urinary tract problems in hundreds of thousands of children. That scandal still haunts many parents in China. Chen doesn’t even trust local food. Xiyan eats imported beef, cod and salmon. Educational and entertainment costs are also a serious drain, according to Wang Dan, deputy director at Hong Kong University’s Wah Ching Center of Research on Education in China. Chinese families have always stressed the importance of studying at a young age, said Manhong Lai, associate professor at the Chinese University of Hong Kong. But Lai said the one-child policy further focused parents’ attention on their single offspring, causing them to invest even more in education. “The competition to get into good schools is very keen, so parents are very serious and put high pressure on their children to compete,” she said. Chen and her husband spend $737 (5,000 yuan) a month on their son’s bilingual day care center — all of her monthly salary. It isn’t just basic education, either — extracurricular activities are biting into families’ annual expenses. Fan Meng and her husband are full-time professionals working in Beijing, but they both say they won’t have a second child. “Nowadays, raising a child is really costly for a family,” Fan said. Not only does their 5-year-old daughter, Qi Xuanru, play a musical instrument — the Chinese gu zheng — but she also loves skiing and diving. Fan said they wanted to support her, even if the cost was high. “Kids today are not like when we were little. We simply just needed to be put to school. Now my daughter has her own hobbies,” she said. Many parents worry that the basic government-funded medical care is inadequate to cover severe ailments. Chen’s son, for example, has suffered intestinal and stomach problems and had to visit hospital once a month before he was 2 years old. But even after Chen had found a good doctor, she said she had to present the medical professional with a bribe — cash stuffed in a red envelope — to ensure her child got the best care. China has one of the worst doctor-to-patient ratios among developed nations, and the overstretched public health system can require patients to bribe for quality treatment. On top of that, there are prescription costs and the annual $2,200 (15,000 yuan) bill for her son’s private medical insurance. “I always want to give my child the best. The best doctors, the best toys, the best education,” Chen said. Authorities have offered subsidies to parents having a second child, such as financial assistance for baby formula, and maternity leave has been extended. In the province of Hubei, one city is offering free child delivery to women having a second child, while another city will give $179 (1,200 yuan) to a citizen having another offspring. Now there are rumors that Beijing may ditch birth limits altogether in an attempt to further boost birth rates. Meng said that while her parents would probably prefer to have a house “full of children and grandchildren,” she feels differently. CNN’s Ben Westcott contributed to this report.